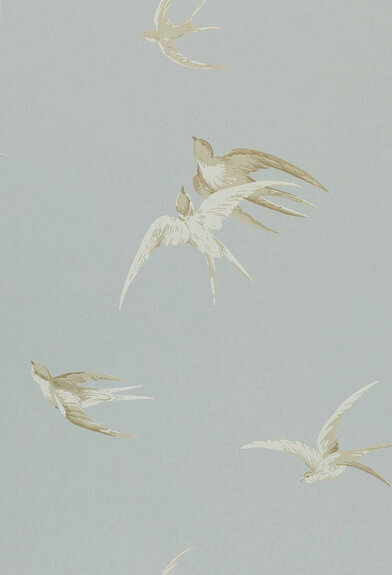 Just a quick update in my suddenly busy life... I´ve decided on a wallpaper for my bedroom. It´s from Sanderson and is called Swallows. I LOVE it! That wallpaper looks so pretty. Very serene. And the stand - wow that should hold a lot. Can't wait to see pics of your mini album either. Happy 17th of May everybody!